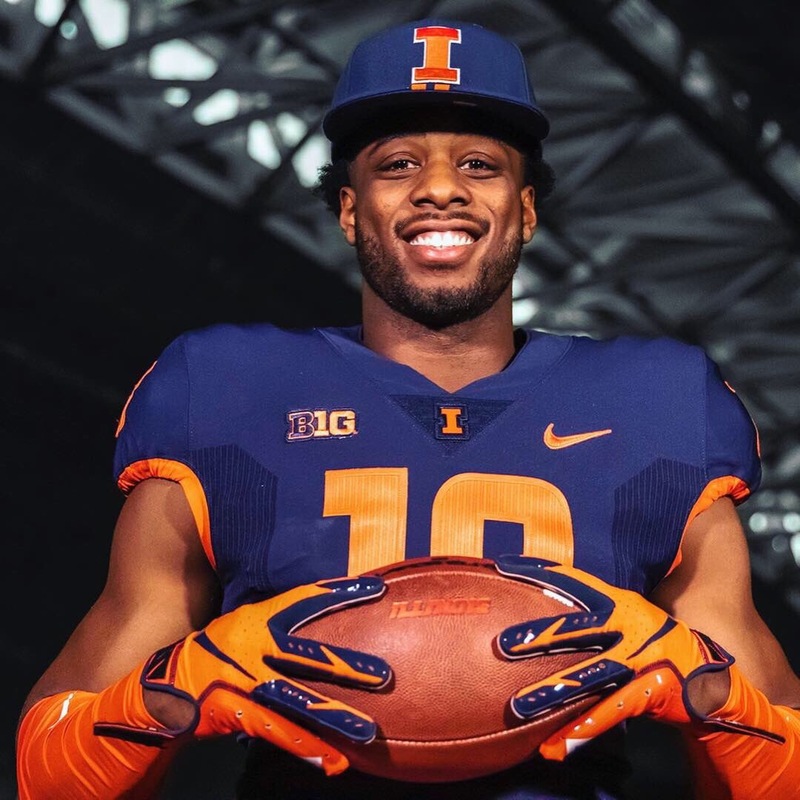 Richmond grad transfer Dejon Brissett took to Instagram and Twitter to announce his move to Champaign and back to the state of Illinois. The Canada played football for Lake Forest Academy in high school. On Sunday, former Richmond wide receiver Dejon Brissett announced he was headed to Illinois as a graduate transfer. Brissett redshirted in 2018 after playing just three games due to a foot fracture. As a junior in 2017, though, he racked up 896 yards on 63 catches to go along with seven touchdowns, earning All-CAA Conference First Team honors. 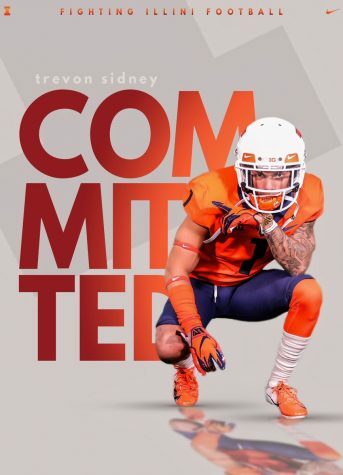 The Mississauga, Canada native shared his decision on Instagram and Twitter after choosing to spend his last season of collegiate eligibility with Illinois over Cincinnati. The decision to come to Champaign is also a return to the state of Illinois for Brissett, who played his high school ball at north suburban Lake Forest Academy. 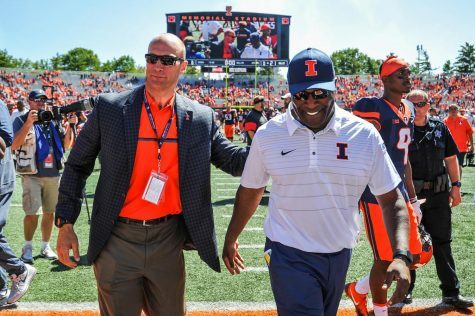 Illinois has been in the market for talent acquisition at wideout, a position where it has little depth and few proven contributors. Junior Ricky Smalling is the only receiver on the roster who has shown an ability to produce in the Big Ten. Smalling caught 33 passes for 406 yards and five touchdowns, but he went for fewer yards than he did in his freshman campaign, during which he caught 31 passes for 501 yards and two touchdowns. Edwin Carter had some success as a freshman for Illinois but suffered a serious knee injury while catching his second-career touchdown pass against in a win over Western Illinois. 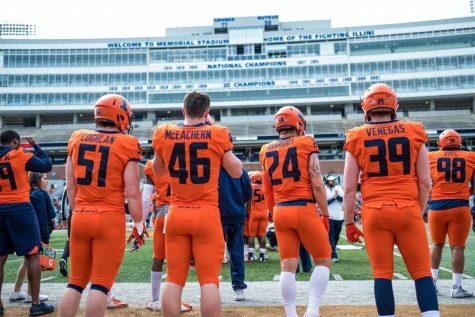 Beyond Carter and Smalling, Illinois has seniors Trenard Davis (278 yards on 30 receptions), Caleb Reams (58 yards on 5 receptions) and Justice Williams (zero receptions) returning at the position. But of those three, only Davis was able to produce anything significant (30 receptions for 278 yards). 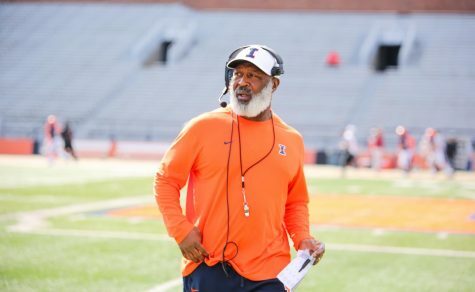 Illinois also brings back Champaign native Dominic Stampley, Carlos Sandy (who saw time as a returner) and incoming freshman Casey Washington. 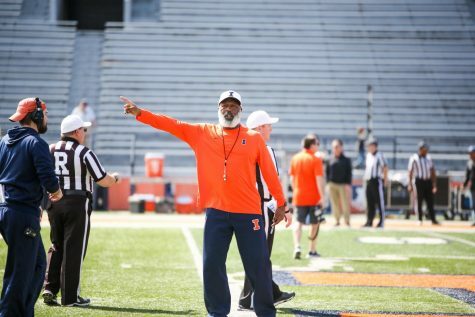 Brissett is not the transfer Illinois was expecting to be adding to the roster this spring. 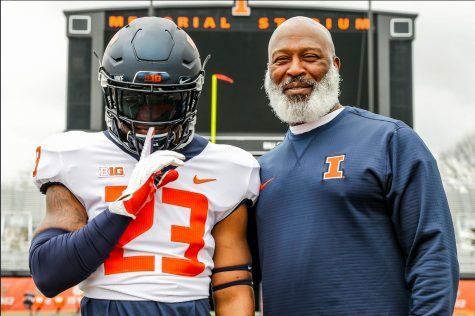 Illinois had secured commitments from Miami playmaker and former top in-state recruit Jeff Thomas and Oklahoma veteran A.D. Miller, but each player elected to return to their former schools over the winter. 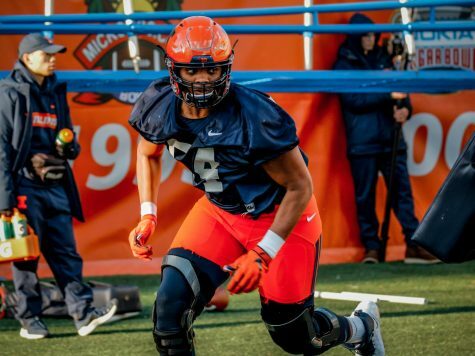 The 6-foot-2, 200-pound Brissett gives Illinois some needed size at the position, especially in the wake of 6-foot-3, 193-pound Miller’s return to Oklahoma. Now, with a thin stable of receivers, Brissett is expected to be in immediate contention to start.